As a professional astrologer with 32 years experience, I’ve written four reader-friendly books on astrological psychology. All are available from Amazon and other on-line retailers as well as from the Astrological Psychology Association. All my books are available in paperback and e-book format. You can read more details and reviews here, as well as an interview I’ve given, talking about my books. I’m also a travel writer for MotorcaravanMotorhomeMonthly (MMM) magazine (pub. UK), focussing on journeys in the UK and Europe in my motorhome. The 2018 updated edition, in full colour, is available from Amazon. The book offers an immediate and illuminating approach to using astrology and is suitable for the enthusiastic beginner as well as the professional astrologer, psychologist or counsellor seeking a fresh approach to working with clients. 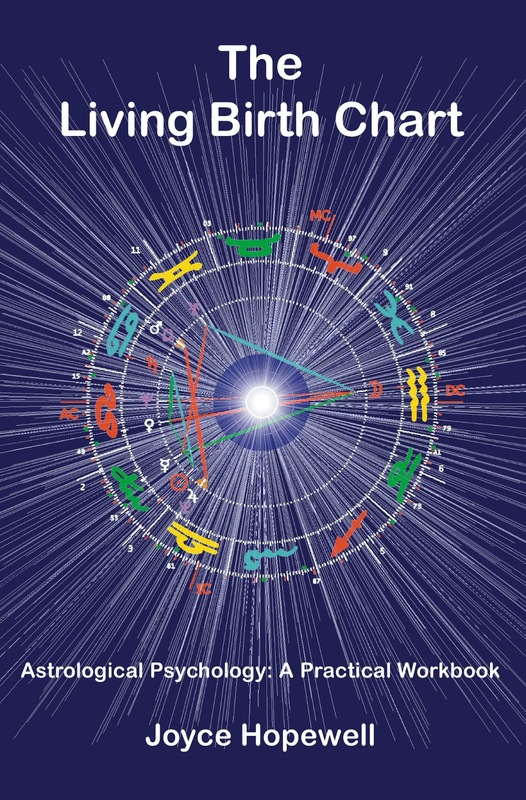 Astrological Pychology combines the best of traditional aastrology with modern growth psychology, and The Cosmic Egg Timer provides the best introduction to what has become known as The Huber Method, based on the work of Swiss astrologers/psychologists Bruno and Louise Huber. This is a deeper, more practical work book, based on my many years of experience in facilitating popular workshops. It offers insights into the full power of the Huber Method and gives a good feel for its practical use and application in everyday life. Plenty of hands-on exercises are included, together with many illustrative examples using the charts of real people. This enables to reader to experience the approach for themselves and develop their own understanding. Age Progression can be used to discover meaning in life events we experience. 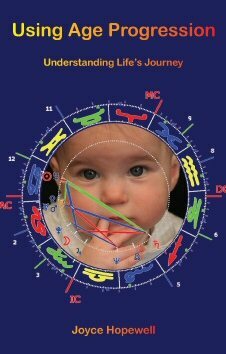 It can show what kind of influences are likely to be at work at different stages of our life journey, and it is perhaps the most sophisticated astrological approach to understanding the psychologically significant life experiences in the birth chart. With full colour charts, the book has a wealth of illustrative examples of Age Progression in the charts of well known people as well as clients and others who have agreed to their charts being used to help others understand this gilt edged technique. This book is a “must” or those wanting a quick reference volume on aspect patterns, which can provide a key to understanding inner motivation in ourselves and others. 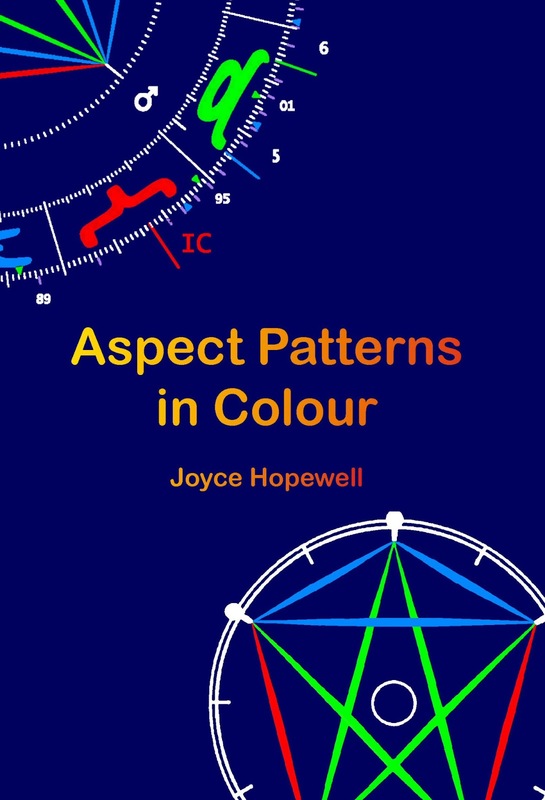 The 40+ aspect patterns identified by Bruno and Louise Huber are clearly described in easy-to-understand terms, and each has a sample chart and interpretation, illustrated in full colour. Ideas and suggestions to get you started on chart interpretation – and keep you going! It is available here, at the APA Ebook store, for a modest fee. It includes some of the Astrology Tips I’ve written about in my long-established Astrological Psychology blog, plus extra material I’ve added to enlarge on the 12 Tips. There are some practical exercises to do too, to help you focus, and there are illustrations and charts.